Your construction project budget is, arguably, the most important aspect in determining whether or not your project is a success or failure. If you finish out your construction project on budget, or of course, under budget, your stakeholders remain happy, and you can move past the project with triumph. Colossally ending up over budget on your project’s bottom line can mean more than just unhappy stakeholders, though. Maintaining control of your construction project’s budget is difficult: every single expense must be calculated, managed, and coordinated between all parties, and can oftentimes become a logistical nightmare for project managers, stakeholders, owners, and even contractors. DrawAlert began as a way to prevent stakeholders on a construction project from being caught off guard by common – and costly – errors like tardy payments, disputes, and liens that can completely derail a project. However, DrawAlert has evolved with the construction industry to become much more than a watchdog for stakeholders. From calculating your construction project’s budget to tracking warranties, and even alerting all parties on a project when a draw has been made, DrawAlert helps manage your construction project down to every single cent – ensuring that you stay on budget and avoid overruns. Keep Your Eye on the Prize: One way to stay on budget during a construction project is to keep your eye on the budget at all times – even when things are going seemingly well. There are tons of moving parts during the construction budgeting process, and sometimes during the workflow, duplicate payments happen, information gets lost, or redundant processes occur. Using a construction management system like DrawAlert allows for more accuracy, so you can save time (and money!) during the lengthy process of budgeting. Keep Everyone in the Loop: Making sure the entire construction project team – from owners, to stakeholders, lenders, contractors, and subcontractors – is on the same page is imperative to staying on budget. An easy way to get the team to stay informed is by utilizing a tool like DrawAlert. Every party on the project gets to see the status of the project, including the budget, any notes that have been taken during meetings, and most importantly: when a draw has been made. Transparency is key in construction, and an informed team is an empowered one. Keep All Project Documents: Just because the construction aspect of your project has been completed doesn’t mean the project is officially over. Warranty documents are just one component of your construction project that DrawAlert keeps through the life of your warranty – NOT for the life of your project. Having all of your project documents on-hand ensures that you’ll avoid costly mistakes when a warranty is about to expire, as well as allow you to look back at a project and use that data to improve the planning and execution of your next construction project. 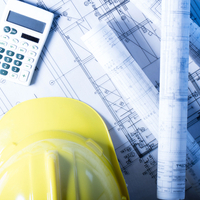 Using a construction project management system like DrawAlert makes planning, controlling, and executing your budget easier as well as more efficient. Managing your construction project with DrawAlert can help you save time, reduce costs, and improve field results on every project. Invest in transparency and support construction site best practices while utilizing the DrawAlert software. For more information, or to request a demo, contact us today. Hello Steve – Please check out our “How It Works” page, and then visit Contact Us to request a demo! Thanks! Why Is the Construction Industry So Slow to Adopt Technology? Investment vs. Cost: How Do You View Construction Software?